In the wake of Osama bin Laden’s death, many are seeking to put the event in context and determine what the loss of al Qaeda’s leader will mean for the organization. UC Press publishes some of the best available scholarship on the issue. 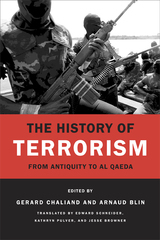 The History of Terrorism: From Antiquity to al Qaeda is an authoritative work that examines terrorism’s long and complex history from antiquity to the present day. 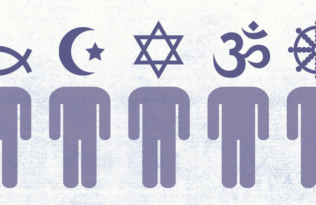 Apocalypse in Islam is an eye-opening exploration of a troubling phenomenon: the fast-growing belief in Muslim countries that the end of the world is at hand, which has seen an extraordinary resurgence in recent decades. In recent media interviews, the authors and editors of these books examined the implications of bin Laden’s death for terrorist movements, cautioning that al Qaeda’s reign is far from over. 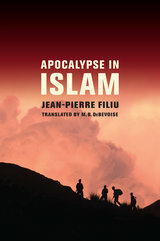 Jean-Pierre Filiu, author of Apocalypse in Islam, spoke to AFP on the implications of bin Laden’s death for the organization’s power structure. He said it “would accelerate the group’s existing division into separate fighting entities,” noting that bin Laden’s “number two, Ayman al-Zawahiri, is Egyptian and won’t be able to impose his will in a comparable way.” Filiu went on to explain the interests of al Qaeda’s various factions in Pakistan, Iraq, Yemen, and North Africa. Excerpts from both books are available on our website.